Earlier this year Sony launched the "Totaku Collection", a line of collectible figures based on characters and franchises that appeared on PlayStation consoles. So far we've seen Totaku based on Crash Bandicoot, Heihachi Mishima, PaRappa and Kratos, among others. 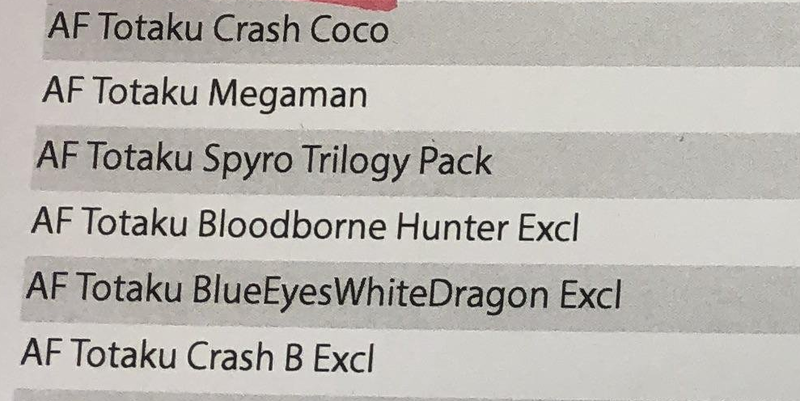 And later this year, it looks like Mega Man is joining the mix. 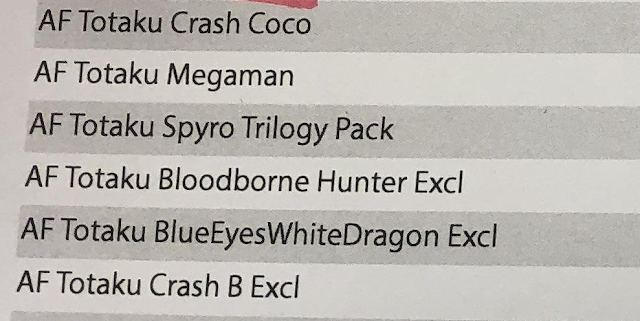 A listing for a Mega Man Totaku has appeared on a memo of upcoming and unannounced Totaku figures from GameStop with a Decmeber 1st release date. No images are available at this time but chances are it will be Mega Man's classic incarnation. Like previous Totaku, the figure is expected to stand at 10 centimeters (about 4 inches) and retail for $9.99. More details (and hopefully images) in due time. Hit up this thread for the complete list of upcoming figures! Thanks for the tip, Motwera! Same! That line was the best. I liked them all way more than any other X series lines that have come out since. They really need to do figures of the Robot Masters and Maverick bosses. I like how Megaman is ever-so-casually stuck between a geeky kid-sister and a pyromaniac with an interest in sheep. … actually, he'd probably get along pretty well, with both of them, hey? Nice! I have a feeling it'll definitely be the new Mega Man 11 design. Great they're helping promote the game like that. Like MegaMac said, I really want to see a Mega Man 11 statue! I also hope that a fully poseable, yet cheap Mega Man 11 figure is going to be released!